Dr. Staub is board certified in rheumatology. He is a graduate of University of Minnesota where he did his internship and residency. Dr. Staub completed his fellowship at the University of Virginia. He has been in practice in the Quad City area since 1989. ​Dr. Sunita Penmatcha was born in India and moved to Canada as a teenager. She completed 2 years of undergraduate studies at the University of Alberta, Edmonton, Canada before attending University of Toronto for medical school. Dr. Penmatcha earned her MD degree in 1996 and then did 2 years of internal medicine training at the McGaw Medical Center, Northwestern University in Chicago and completed her Internal Medicine training at University of Iowa in 1999. She practiced general internal medicine in the Quad Cities until 2006 both in the private setting and the VA Medical Center in Bettendorf. Her interest in rheumatology led her to a fellowship, which she completed in 2008 at University of Iowa Hospitals and Clinics, Iowa City, IA. Dr. Penmatcha is board certified in rheumatology. Dr. Orris grew up in Iowa near Des Moines. She attended undergrad at University of Iowa where she earned her Bachelors of Science in Engineering in 2004. 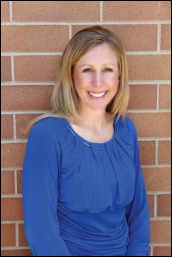 Dr. Orris earned her medical degree at Kirksville College of Osteopathic Medicine, Kirksville, MO in 2009 and completed her residency in internal medicine and fellowship in rheumatology at University of Iowa Hospitals and Clinics, Iowa City, IA. ​The newest member of our practice, Dr. Mudappa Kalaiah, joins us as a double board certified physician in Internal Medicine and Rheumatology, with expertise in the advanced diagnosis and treatment of systemic inflammatory diseases. His experience and knowledge will be a valuable asset in caring for the health of the community. After graduating from JSS Medical College in India, Dr. Kalaiah moved to the United States to continue his medical education and career. He completed one year of surgical residency at Guthrie-Robert Packer Hospital in Pennsylvania before transitioning to internal medicine, completing his residency at Creighton University Medical Center in Omaha. He went on to finish his medical education with a Rheumatology fellowship at the University of Iowa. Most recently, he worked in a private practice in Denver before moving back to the Quad Cities to be closer to family. In his spare time, he enjoys spending time with his wife and new baby girl. He also enjoys watching soccer and tennis, skiing and bike riding, and cooking. He recently acquired a new hobby when he learned about caring for the yard and landscaping of him and his wife’s new home. ​Susan Freburg grew up in the Quad Cities. She attended University of Illinois where she earned her Bachelors of Science in Nursing. 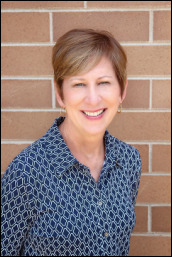 Susan earned her Masters of Science in Nursing and Adult/Gerontological Nurse Practitioner Certificate at University of Iowa in 2000.